Thread: 19' Miami boat show. Some pics from my buddies that headed to the show, just sharing them, I'm not there. Cool to see boats coming from Checkmate since Hustler's acquisition of the brand. 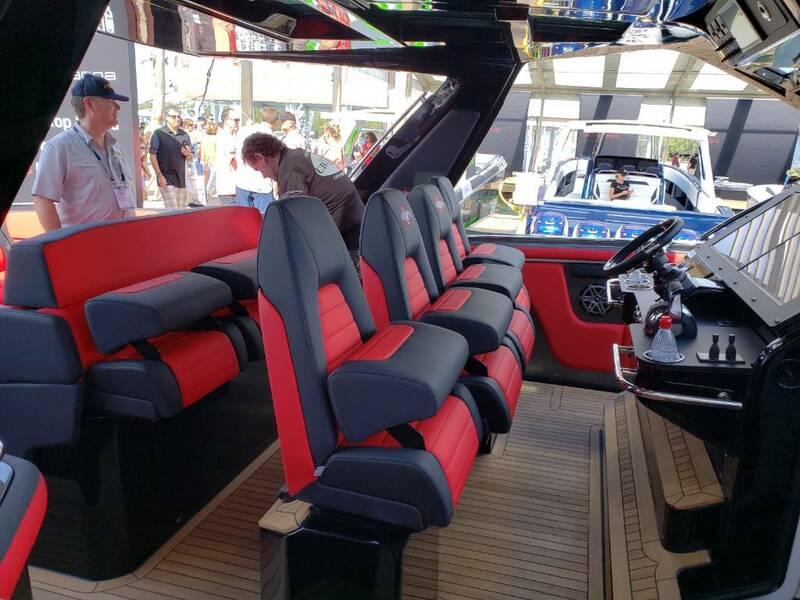 Re: 19' Miami boat show. Remember how a bunch of us were discussing the "outboard invasion" a couple years back? I think some of the overall feeling was it was something of a 'fad'. Incredible to see the number of outboard powered boats now, from all the premier builders. I personally never thought I'd see the day when SIX outboards adorned the transom of a boat! I don’t like it either. That’s six engines to maintain. I guess though, if you can afford that many outboards, you can pay someone else to do that. « Florence, Baja, Fountain, Donzi..